Emergency crews responded to a garage engulfed in flames on Selkirk Street in Cambridge. Neighbours in the area tell CTV News that they heard an explosion around 6 p.m. Wednesday, and felt their homes shake. 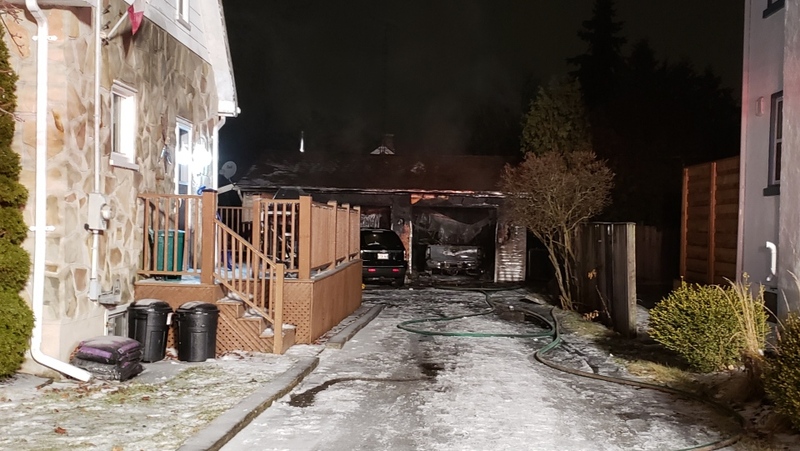 Police confirmed a garage was engulfed in flames on Selkirk Street between Tait Street and Glenmorris Street. A man was transported to Hamilton Hospital with extensive burns. His wife had minor injuries. The building has been deemed unsafe by fire officials. There is no concern for any nearby homes.